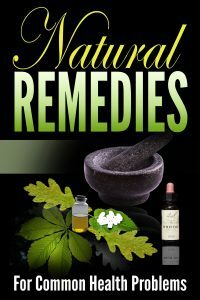 Use Natural Remedies to Solve Many Common Health Problems! The Academy of Integrative Health & Medicine defines holistic medicine as "the art and science of healing that addresses the whole person – body, mind, and spirit." In other words, it doesn't just focus on your physical health. According to the practice, our health and well-being is the result of the interaction between physical, environmental, emotional, and psychological aspects of the person's life. Therefore, what makes holistic medicine different is its integrative approach to health. It uses alternative as well as conventional medicine and studies all aspects of a person's life. The goal is to achieve holistic health, an "unlimited and unimpeded free flow of life force energy through body, mind, and spirit." WebMD describes the four key principles of holistic. Holistic medicine teaches that the body has an innate capacity to heal itself. For this reason, it wants to promote and encourage this naturally occurring healing by using different treatments and methods of which one is herbal. In addition, it believes that the best way to maintaining good health is by preventing illnesses in the first place. This is not just better for the body, but it is also cost-effective. Adopting good habits to improve wellness and prevent diseases is less taxing on the body than overcoming an illness. To nurture the body's capacity to heal itself, holistic medicine seeks to promote overall health instead of just treating a set of symptoms. In this case, good health goes beyond the absence of illness. It aims at achieving the best possible quality of life in the physical, emotional, mental, and social aspects. For holistic medicine, illness is the result of an imbalance or dysfunction of the individual. In addition, one way to treat this imbalance is to change the effects of negative emotions, experiences, habits, and memories. In other words, a holistic physician encourages patients to explore the effects of emotions and experiences on their health and to unburden themselves of harmful emotions and thoughts. Consequently, positive emotions and feelings like love, enthusiasm, and hope may help to restore the balance and bring the patient closer to well-being. Therefore, in this case, a disease is an opportunity for patients to learn more and improve themselves. Moreover, for physicians, each patient is a new opportunity to practice unconditional love and guide a person in their unique path towards wellness. An important part of the physician's job is to educate and empower each patient so that they can make informed decisions about their health and treatments. Education is an important task for the physician. To promote wellness, the patient needs to incorporate healthful habits under the guidance and encouragement from the doctor. For example, the physician may guide the patient towards adopting a healthier diet, incorporating exercise, or seeking counseling. Patient and physician work as a team to restore well-being. So evidently, the relationship between patient and doctor is supportive and collaborative. In this ideal relationship, the physician listens and respects the patients' needs, opinions, and insights. And the patient is not a passive agent in her own health. Instead, she is encouraged to make her own decisions. Another important aspect of a positive doctor-patient relationship in holistic medicine is the use of different treatments. For some people, holistic medicine is not different from homeopathy or naturopathy. However, there is a difference. Holistic medicine may use natural treatments if the patient may benefit from them, but it also uses conventional medicine and treatments. The inclusion of a broader range of evidence-based therapies that offer different benefits helps the patient get more comprehensive care. The integral approach of holistic medicine to well-being allows it to go deeper into the health problems of the patient, well beyond the physical symptoms of one illness. Getting to the root of the issue also ensures the patient may find long-term health and prevents more episodes of the illness in the future.